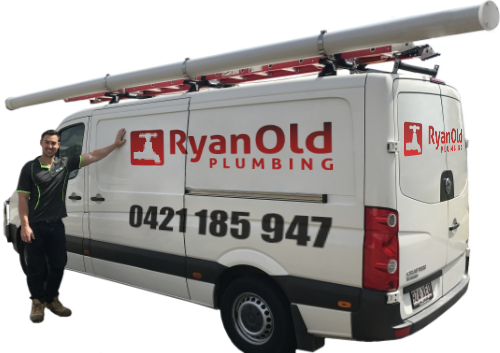 Ryan Old Plumbing can take care of all the plumbing problems around your home or business including dripping tap and mixer tap repairs and replacements throughout Brisbane and suburbs. Don’t ignore the drip, our team can fix a leaking tap fast. Hearing the dripping water from your tap continuously can be really annoying. On top of the frustration a dripping tap can cause, it will also be wasting water and causing damage to the surrounding area. A dripping or leaking tap is generally quite simple to fix but it also tends to be one of the most ignored plumbing problems around the home. These are some of the most frequent reasons our plumbers are called out to fix a leaking tap. Most taps, especially those in high use areas of the home like the kitchen and bathroom, wear out over time. Components such as the washer and o-ring can break down and cease to keep a seal on the tap, creating a leak. Who doesn’t like good water pressure at home? Who likes getting frustrated when water pressure is inconsistent or weak? No one! But did you know that water pressure that is too high can cause a leak? There are two common results of high water pressure. Pipe damage - Strong water pressure can cause damage to the tap or water pipes which struggle to withstand the constant pressure leading to a pipe or tap leak. Excess water - When your water pressure is too high, the pressure causes the water to flow strongly. Water will try to make its way out of a tap, any way it can, resulting in a leak. A tap might look simple but the truth is, it has several components. Some of the parts of the tap may become dislodged over time. Replacing the parts should be done if tightening the parts together is not enough to solve the problem. Why use Ryan Old Plumbing? We ensure the job is done correctly the first time. We know how to carefully use the plumbing tools to solve the issue without damaging your household. We provide a permanent solution, rather than a temporary quick fix that may need to be looked again down the track. We’ve undergone extensive industry training, we have the knowledge and experience to handle any plumbing issues. We also leave the property clean upon work completion. Whatever the cause of your leaking tap is, it needs to be fixed as soon as possible. Contact Ryan Old Plumbing and stop wasting water and time and get that dripping fixed now at 0421 185 947 or complete our quick tap repair booking form today.